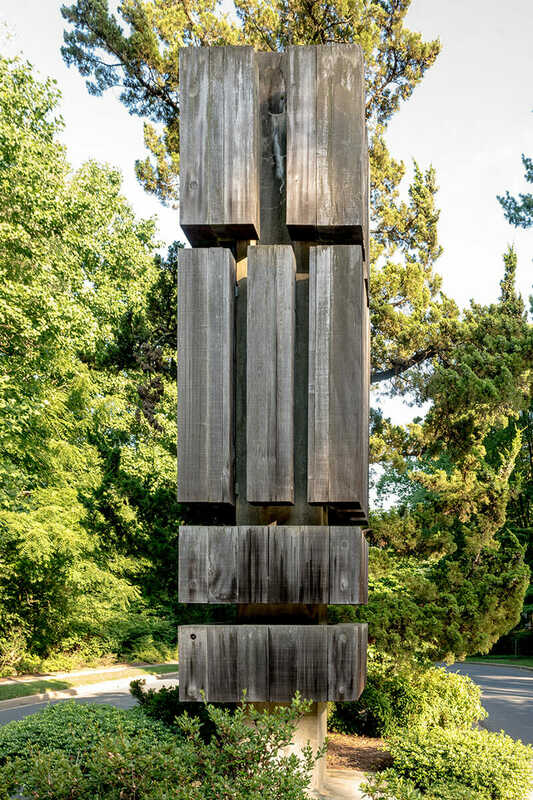 Enjoy the beautiful imagery captured on the grounds by our talented photographers: Sara Acharya, Sally Guardia, and David P. Sloane. 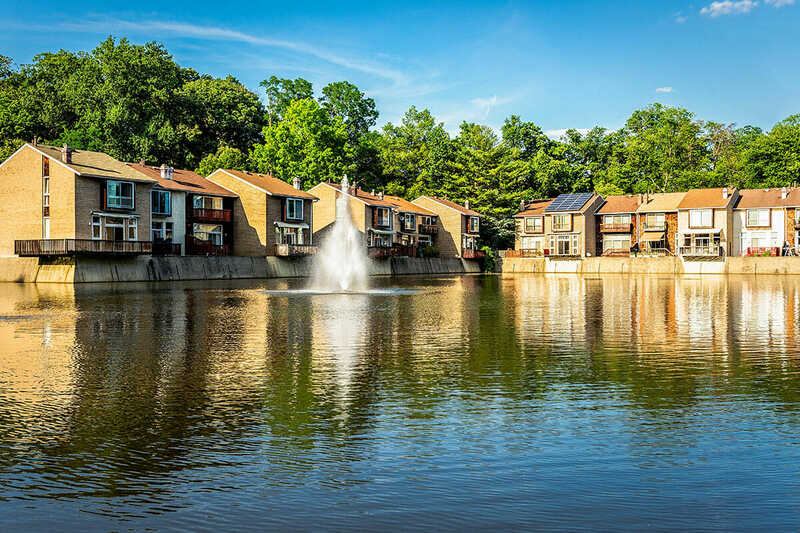 The 4.5-acre lake is home to a variety of fish, water birds and turtles. 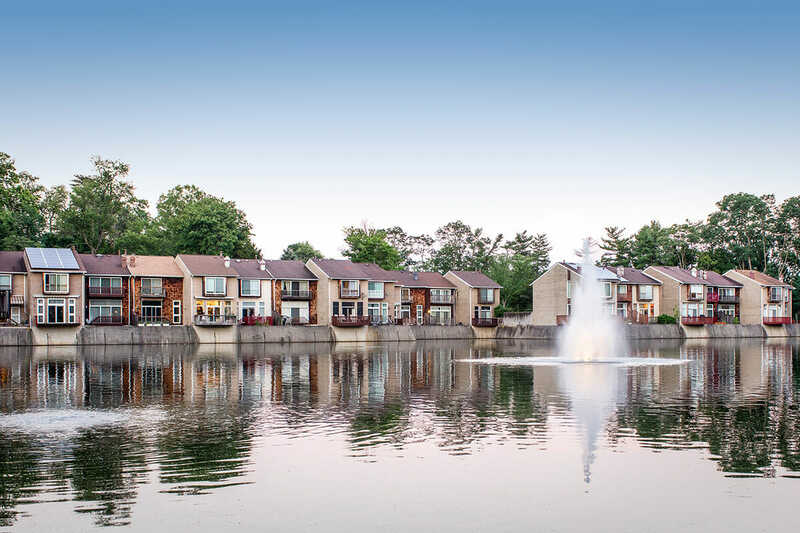 The townhomes bordering Lake New Mark remind visitors of Venice. 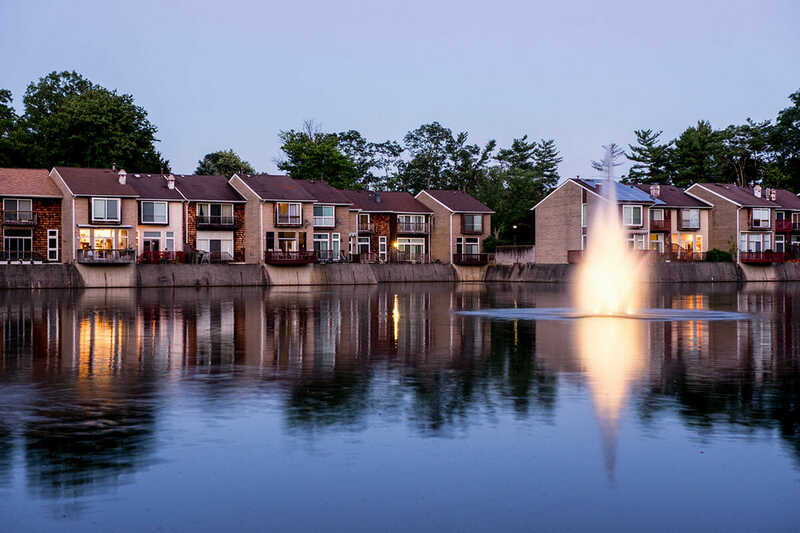 At any time of day, Lake New Mark provides tranquility and the whisper of rushing water from the splashing fountain. 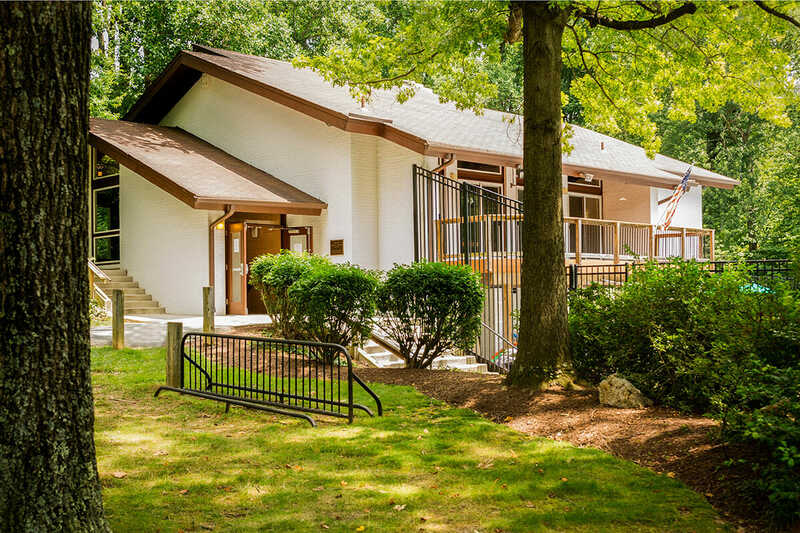 The mid-century modern design of the New Mark Clubhouse is a hallmark of the community’s architecture. 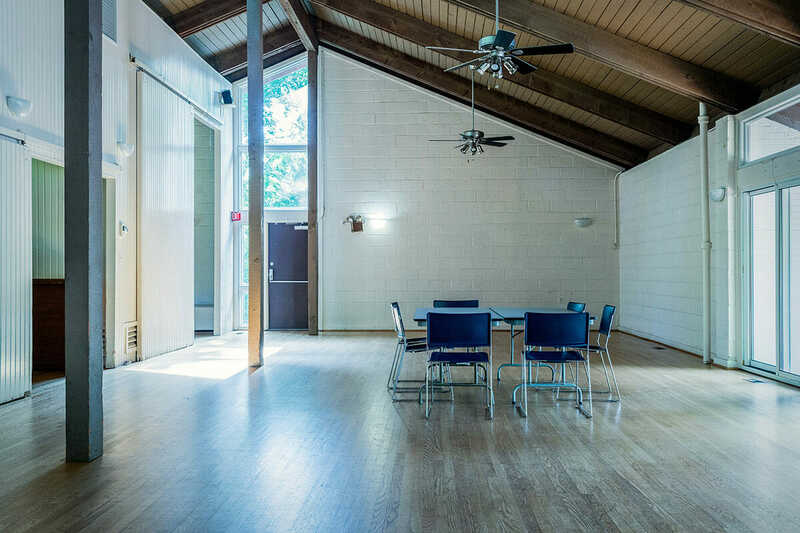 The open beams and gleaming wooden floor of the Clubhouse provide room for the annual meetings of the New Mark Commons Homes Association, official board and committee meetings, and private social gatherings. 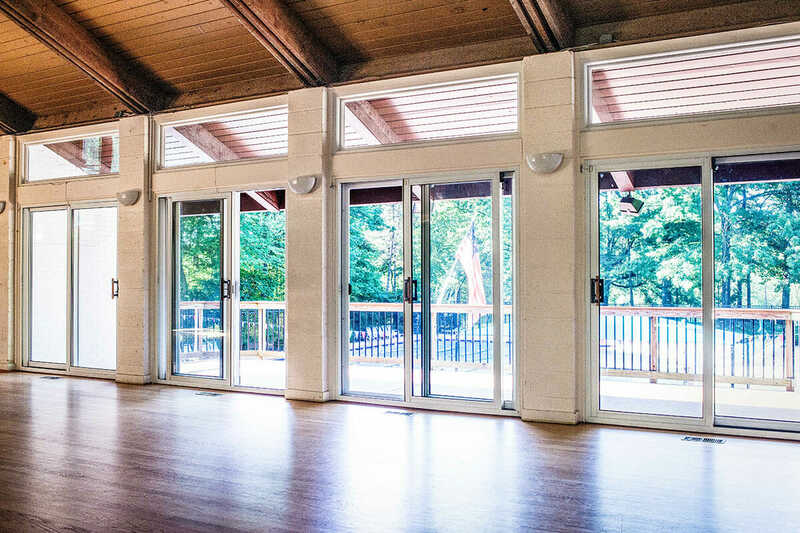 The Clubhouse overlooks the swimming pool, with a small balcony to take a breath of fresh air. 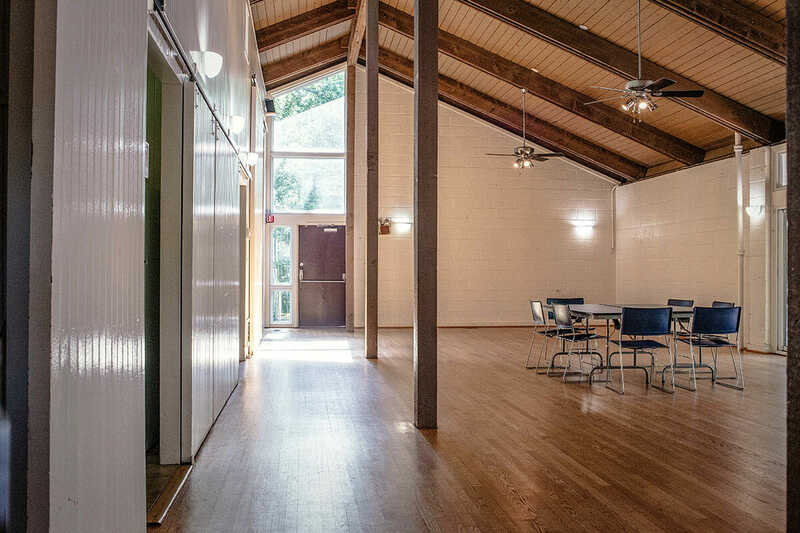 The Clubhouse also has a kitchen and a fireplace niche. 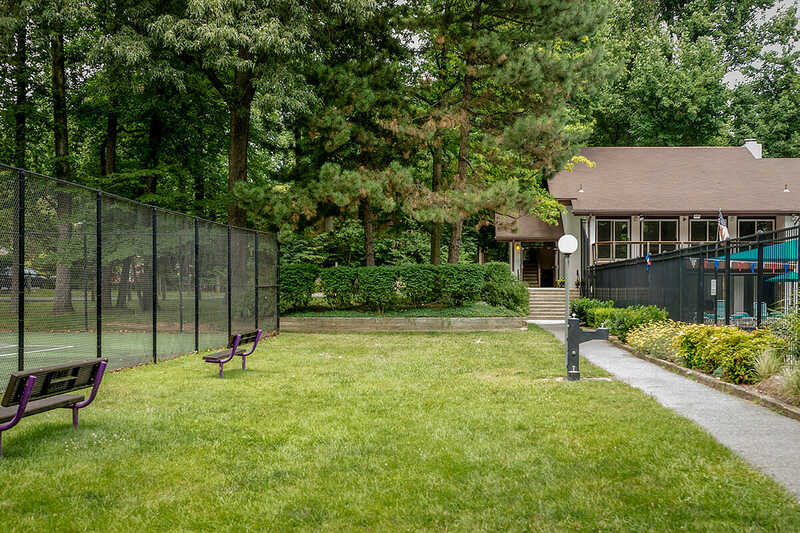 The slot window at the far end and the sliding doors facing the pool are echoed in many of the mid-century modern residences in the community. 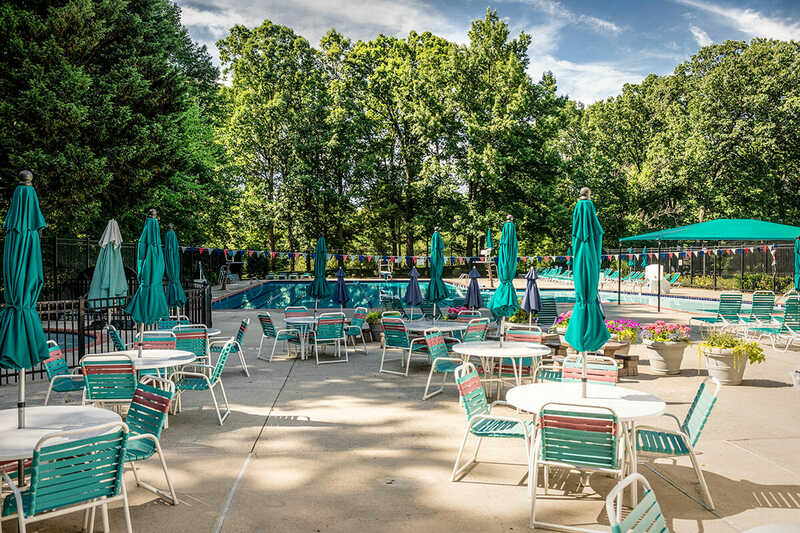 The 25-meter swimming pool is a favorite gathering place for young and old. 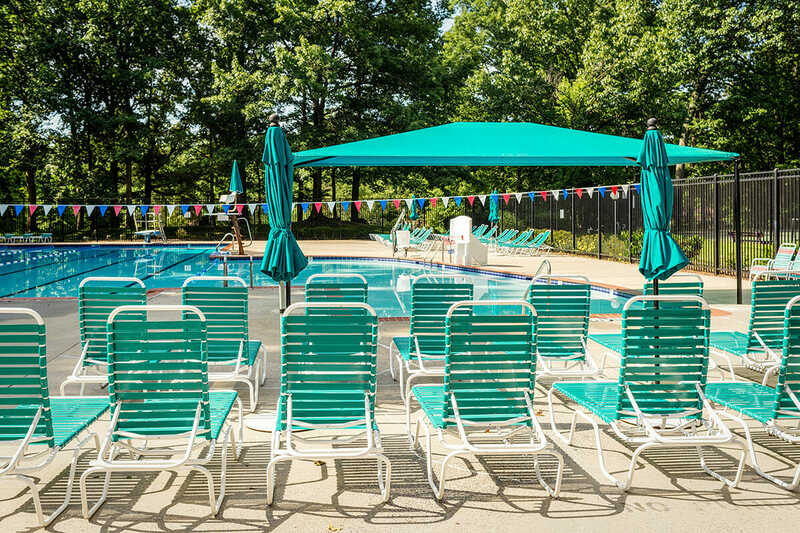 The triangular blue awning over the shallow end nearest the Clubhouse protects the youngest swimmers and their minders from the sun. The rounded steps at the shallow end accentuate the strong design of the swimming pool. In the background are umbrellas that mark tables for snack time. And they ‘re off! 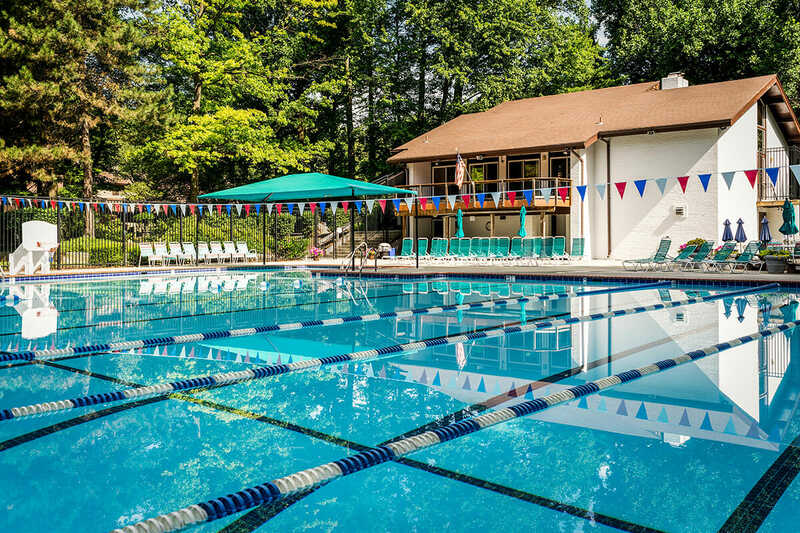 New Mark’s youth participate in the Montgomery County Swim League, and the pool churns with speeding Barracuda swimmers at Saturday meets hosted by the community on a rotating basis. 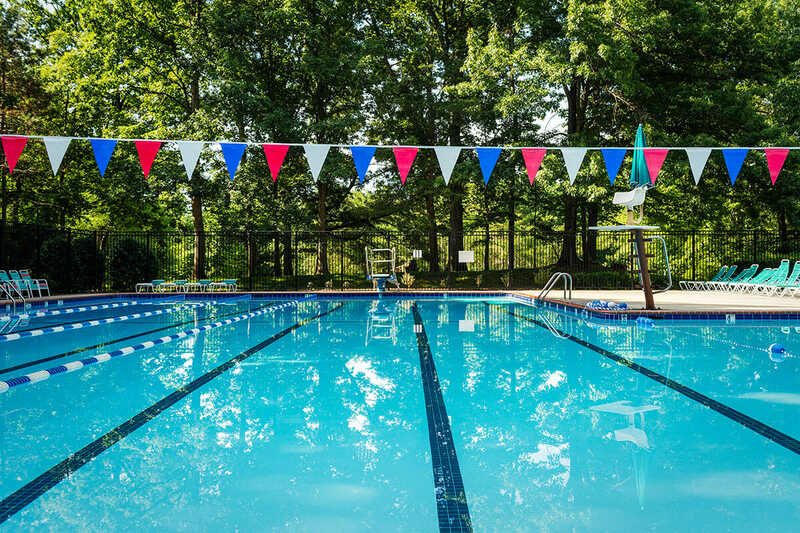 During regular hours, three lanes are roped off on the left for lap swimmers. 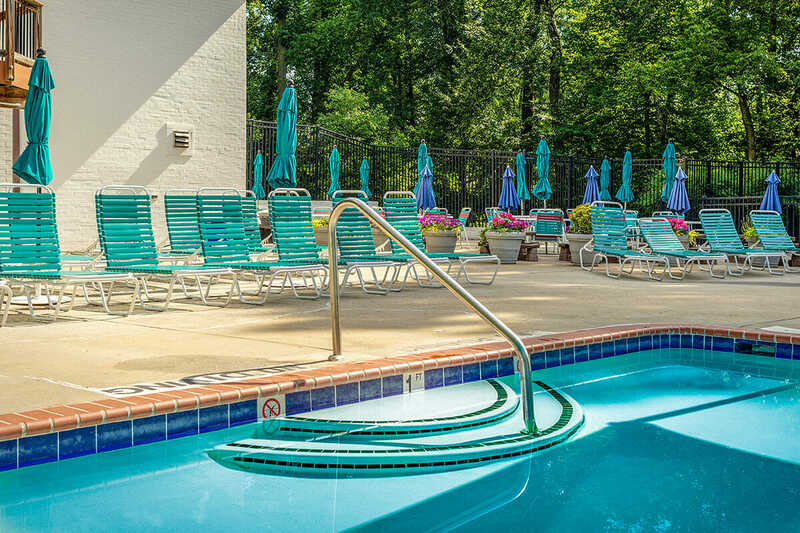 Toddlers love splashing in what residents call the “baby” pool. It is fenced in with a secure gate. 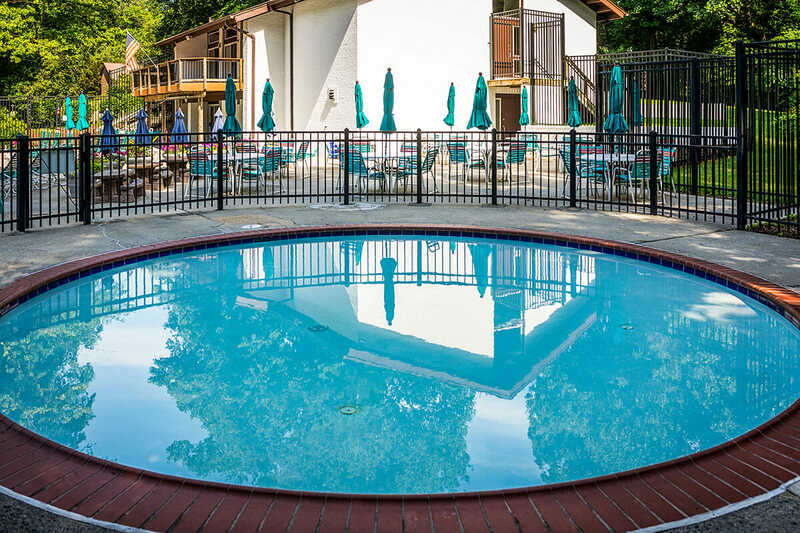 The pool deck nearest the Clubhouse looks onto the shallow end. 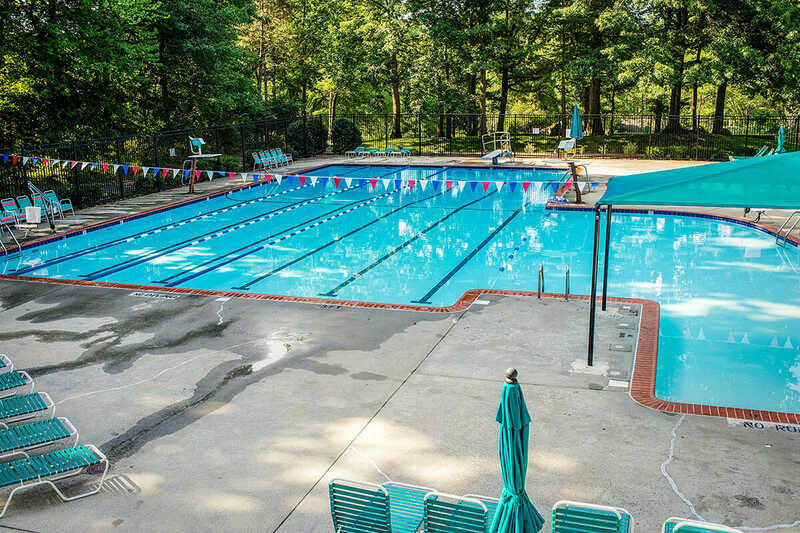 New Mark has one of the few pools in the area that offer shade during various times of day – yet enough sun for sun-bathers. 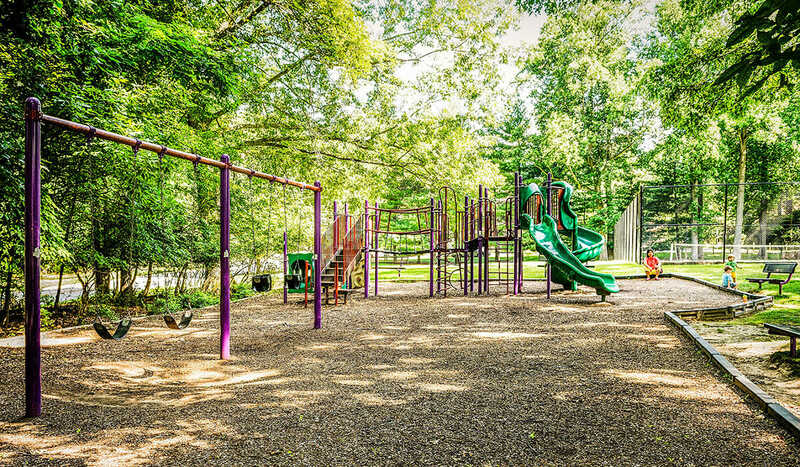 The “tot lot” has a mini climbing wall, two sliding boards and a swinging bridge. 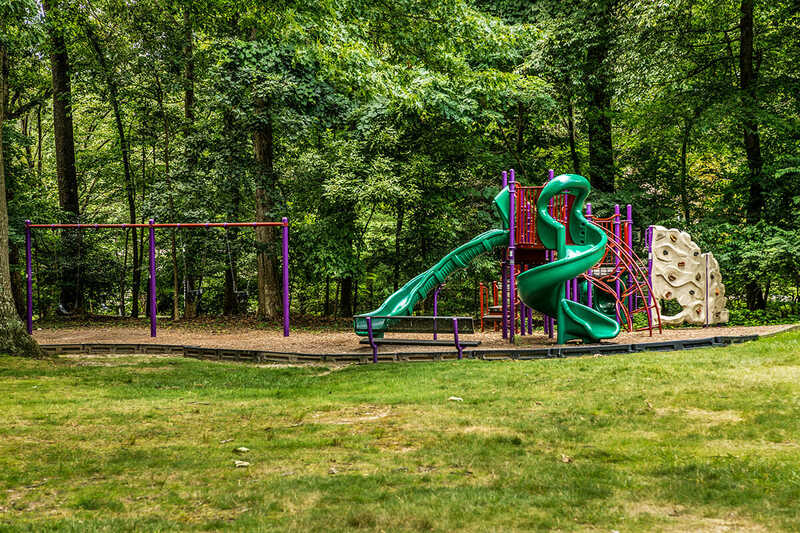 Toddlers have two secure swings, while older children can sail high on open seats. The path along the west side of the swimming pool offers a fountain for two-legged as well as four-legged passersby. 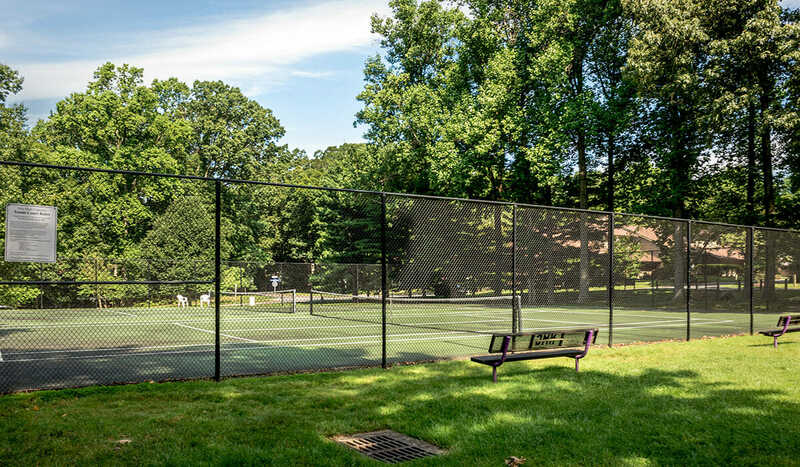 The benches provide a perch for a small audience for residents’ tennis matches. 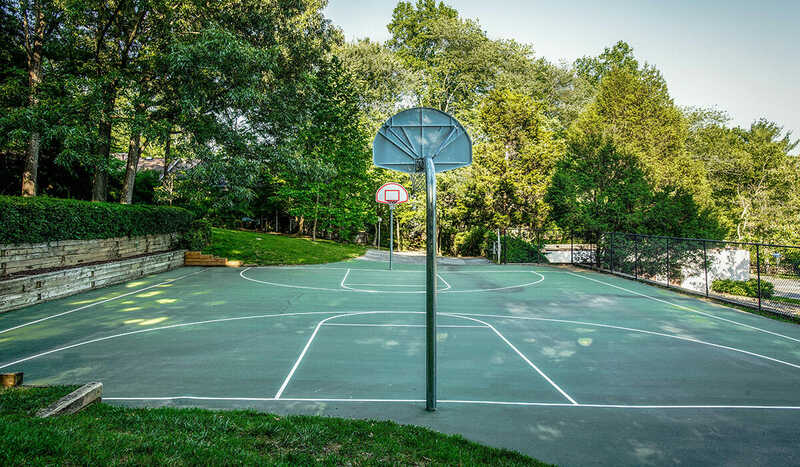 The basketball court is another recreation option for the community.